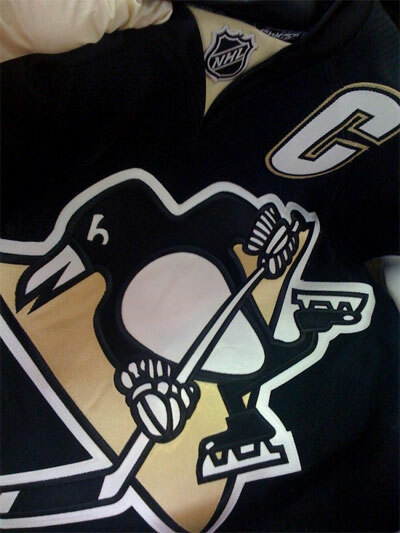 Note the “C” on the jersey, and you know who wore this one in a game. 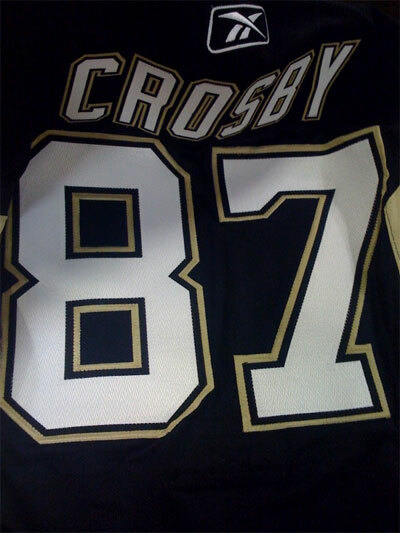 When he’s not leading the Canadian team to Olympic Gold, Crosby’s day job is leading the Penguins to Stanley Cup championships in this black and gold jersey. 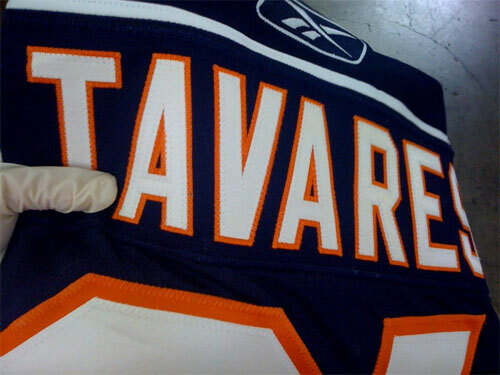 Pretty cool to hold a jersey a guy like that wore on the job. How about one more? I figured I might as well, since I was down there already.